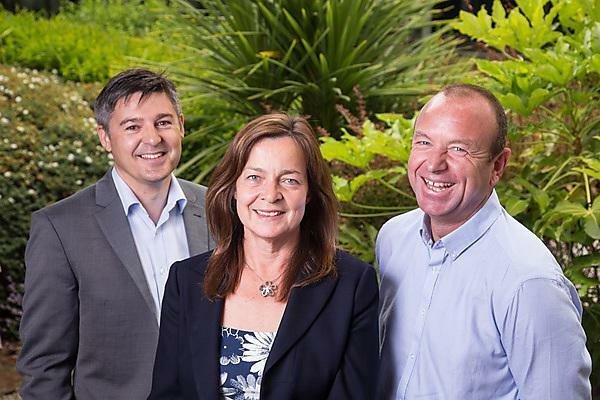 (Left to right) Adrian Dawson (GAIN), Monica Read, (Business Services and Sustainability Director, South West Water) and Paul Gilbert (SWMAS Ltd). Photo by Tim Pestridge. More than 1,000 new jobs will be created in the South West, thanks to an £8.7 million fund to support the region’s most ambitious businesses. Grants of up to £1 million are now available to high growth businesses across the region, from Gloucestershire, Wiltshire and Dorset in the east, down to the tip of Cornwall and the Isles of Scilly in the West. Supported by the Regional Growth Fund, the South West Growth Fund was secured by Plymouth University’s GAIN team, SWMAS Ltd, South West Water Business Services and the Western Morning News. It will support transformational projects in businesses, primarily in manufacturing, marine and digital industries and is set to unlock £22 million in private investment. The South West Growth Fund is the latest round of RGF funding to have been secured for the South West by GAIN and regional partners. Together these funds now total more than £20million and are forecast to support the creation of nearly 2,500 new jobs. “The South West Growth Fund will support ambitious businesses to achieve their growth plans, giving a boost to the whole region’s economy. The fund directly responds to the productivity challenge we are facing in the South West by enabling innovative ideas to come to fruition. In the past three years, through its multiple business support programmes, SWMAS Ltd has provided in-depth support to almost 2,000 companies, launching over 250 new products and creating nearly 4,000 jobs in the South West. “This scheme is unique, combining both funding for capital investment and expert support. Our team will help firms to specify, install and embed new equipment and to exploit new technology.